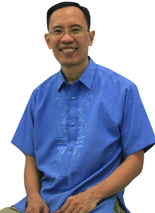 Phil Kamibayashiyama is a full-time teacher and the director of Bob Jones Memorial Bible College (BJMBC) in Quezon City. He has taught most of the Bible classes in the college Bible program. Phil holds a BA in Bible, an MA in Bible, and a PhD in Pastoral Theology from Bob Jones University in Greenville, SC, USA. You can learn more about their ministry here. 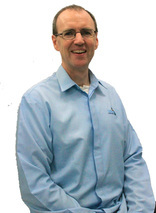 Tim Berrey serves as the Director of Graduate Studies of BJMBC. As such, he teaches most of the Bible classes in the graduate program and a few Bible classes in the undergraduate program. Tim holds a BA in Bible, an MA in Bible, and a PhD in Old Testament Interpretation from BJU. Doug Bachorik and his wife Ruth joined the faculty in 2002, founding the college's music program. Doug is Director of Music Studies. He developed a music curriculum for BJMBC that teaches excellent musicianship and God-honoring music. He has been conducting choirs and orchestras for 25 years and lectured on music in churches and seminaries across the world. Doug holds a B.S. in Music Education from BJU a Masters in Choral Conducting from the University of Oklahoma, and is pursuing a Doctorate of Musicology at the University of Durham. Pastor Albert Tiangco serves as the Director of Ministerial Studies of BJMBC. He resides in Malabon City with his wife Grace and their son, where he also pastors Promised Land Baptist Church. He has taught most of the Bible classes in the undergraduate program. Abet graduated from BJU with a Masters of Divinity. He is currently working on a Doctor of Pastoral Theology from the BJU Seminary. Joel Arnold began teaching at BJMBC in 2013. He enjoys language and exegesis courses, as well as the broad outlines of Theology. He has a particular love for thoroughly studying complete books of the Bible as literary units. Joel holds a BA in Bible, an MA in Bible and a Ph.D. in Theology from Bob Jones University in Greenville, SC. The topic of his dissertation was "Theological Antinomy—A Biblical Theology of Paradox." You can learn more about their ministry here. Ruth Bachorik oversees the piano instruction at BJMBC with the help of Jolea Jensen and several short-term missionary teachers. Ruth holds a B.S. in Bible and Music from Pillsbury Baptist Bible College and a Masters degree in Piano Performance from BJU. Ruth taught piano at BJU, and then taught in private studios in Oklahoma and Minnesota while regularly accompanying chamber music. Asenath Cadavos teaches private voice and piano lessons as well as Group Voice, Ear Training, and Sight Singing and choir at BJMBC. Asenath graduated with a BA in Church Music – Voice from BJU. She also studied Choral Conducting at Siliman University in Dumaguete, Negros Oriental. She is currently pursuing a Masters degree in Voice from the University of Sto. Tomas. Cornelio Guiang is the pastor of Grace Baptist Church in Cubao, and he teaches various Bible subjects both in the undergraduate and graduate levels at BJMBC. Cornelio graduated with a Bachelor of Theology from the Baptist Bible Institute of the Philippines in Project 6, Quezon City, and finished his Master of Arts in Biblical Studies from BJMBC. Jolea Jensen graduated from Bob Jones University in 2001 with a Bachelor in Church Music and in 2006 with a Masters degree in Church Ministries. Since 2006 she has taught full time at BJMBC in Music Theory and Analysis, music education classes, handbell choir, group piano classes, and private piano. Mila Kamibayashiyama is primarily a homemaker but also teaches some of the classes in the Ladies’ program. 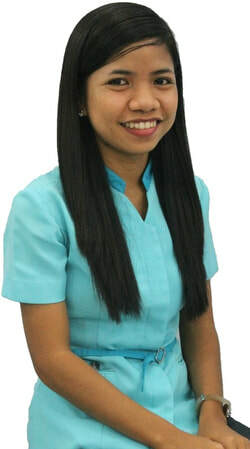 Mila graduated from University of the Philippines, Quezon City, Philippines with a degree in BS in Social Work. She also completed a Certificate of Professional Education course. Sara Morris teaches composition and arranging at BJMBC. Sara graduated with a BA in Bible (with a minor in Piano Pedagogy) from the Baptist College of Ministry in Menomonee Falls, Wisconsin, USA, in 2002, and a Masters in Music (Church Music Composition) from BJU. Regine Nuñez graduated with an Associate Degree in Music Ministry 2007-2011(BJMBC) and a Diploma in Creative and Performing Musical Arts at the University of the Philippines. She teaches violin and viola and some piano and coordinates the music at Roadside Bible Baptist Church in Meycauayan Bulacan. Ami Potter received Christ as her Savior at an early age. Her family moved to the mission field of Hungary in 1999 and Ami has ministered at Bible Baptist Church of Pecs, Hungary, teaching children's church, playing special music, and playing the piano. She has played with the Pannon Philharmonic, the local professional symphony orchestra. She will receive a master's in violin performance from the University of Pecs in July 2015. Jeanne Raymond used to teach the English classes but has now moved on to teaching the ladies’ Bible classes at BJMBC. Jeanne graduated from BJU with a BA in Bible. Sarah Grace Julian graduated with an associate in music ministry in 2013. She teaches arranging and composition class also at BJMBC and serves at Obando Christian Fundamental Baptist Church. Ruth Potter taught in BJMBC's music program from 2008 to 2012. She holds a bachelor's degree in church music from Maranatha Baptist University and a masters from Bob Jones University. 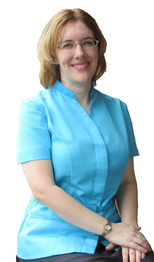 She has twenty years of teaching experience in piano and violin. Ruth enjoys church music ministry and has served in various at her local church since she was a teenager.